Today's Top 10 is a guest post from Paul Young, a researcher and advocate for climate change solutions. He works for the Morgan Foundation and is one of the founders of Generation Zero. 1. Hey, who broke the climate? If the image of three hurricanes sitting over the Atlantic Ocean while northern California is shrouded in smoke from wildfires doesn’t make you think something’s up with the planet, well I’m not sure what will. As climate change damages become an ever more present part of our lives, the questions of who is most to blame and who should pay the costs are getting increasingly real. Lawsuits against fossil fuel companies are popping up around the world and you get the sense this is just the tip of the iceberg. […] Plainly, companies should not be at liberty to persist for decades in selling products as safe to use when they know they are harmful and have alternatives available to them. Upon learning of the risks of their products, companies could have used their considerable technical and financial resources to greatly accelerate carbon storage and clean energy technologies. 2. New Zealand is feeling the heat too. While we’re fortunate enough not to be in the path of destruction laid by terrible twins Harvey and Irma, 2017 has already racked up a record insurance bill for weather damage with over a quarter of the year still to go. Obviously one data point does not a trend make, but it’s part of a consistent picture of increasing weather extremes and unrelenting sea level rise as the planet warms. "With three months left in play, 2017 is already the most expensive year for weather events since our records began," council chief executive Tim Grafton said. "The two July weather events bring the total for significant weather events for 2017 to $230.2m, which now surpasses the year of the Wahine storm in 1968." 3. Can you fix it? The goals the world (minus Trump) has agreed on for climate safety can be roughly translated into a global CO2 budget. The New York Times has published this nice interactive feature that demonstrates the radical pace of CO2 emissions cuts required to stay within that budget. Perhaps after the election once Steven Joyce has tired of trying to find holes in Labour’s budget, he can turn his attention to helping balance these books? If you did manage to stay within the carbon budget, you probably needed a good dose of carbon removal to help you out. The uncomfortable truth is that we’re in overshoot territory already, really. Virtually all studies and scenarios for keeping global warming under two degrees soften the blow by making some pretty heroic assumptions about how much CO2 we can draw down in the second half of the century (effectively putting the bill on the credit card for the grandkids to pick up). Technical feasibility is one thing, but there’s a lot more to be sorted out if we’re going to do this – like who will pay for it, and how the financing, accounting and governance will work. Venerable climate and energy blogger David Roberts gives a nice overview of a new Nature paper on these issues here. Of course, in New Zealand, we can get started today by planting some trees. The technology on which most hopes are pinned is bioenergy with carbon capture and sequestration, or BECCS. […] The idea is that as plants grow, they absorb carbon from the air. When biomass is burned for energy, that carbon is released. If you can capture that released carbon and bury it, you have a net carbon negative process — carbon is removed from the atmosphere. To bury enough carbon to put the 2C target in reach, BECCS will have to be massively scaled up, requiring biomass planted and harvested over an area as large as India, or larger. (One reason many scientists, including Kevin Anderson, think it will never happen.) It is a truly gargantuan undertaking. Which makes it very strange that we’re not talking about it. 5. China: our biggest hope? The odds of averting climate catastrophe hinge heavily on China, and they are stepping up the plate. In less than a decade, China has moved from being the scapegoat for dirty development to the engine room of the global green economy. In this profile of ClientEarth founder James Thornton, he gives some on-the-ground insight into how China’s leaders are grappling with environmental challenges. It’s also an inspiring read on how he and ClientEarth have achieved huge wins for the environment through legal action. 6. Are electric vehicles about to explode? One David Roberts blog is never enough, so here he is again on a much more encouraging topic: electric vehicles. [China’s announcement that it is working on a timetable to end internal combustion vehicles] is just one of many remarkable developments around EVs recently. The past year has seen trumpet blast after trumpet blast heralding the arrival of an EV revolution — sooner than most analysts expected. How fast that revolution will unfold is the source of much dispute and uncertainty. And it matters a great deal to oil demand, electricity demand, greenhouse gas emissions, air pollution, and global trade flows. In many ways, questions around EVs parallel questions around renewable energy. They have both been consistently underestimated. If they continue beating expectations, revolution is nigh. But there’s also a lot of hype, wildly conflicting projections, and plenty of risks and pitfalls ahead. I have no doubt that electric is the way of the future for vehicles, and we need to accelerate the shift as fast as possible. But we also mustn’t lose sight of the problems that EVs don’t solve – like making our cities work better. In Rod Oram’s latest column for Newsroom, he lays out the opportunities through improving our urban environment, how badly we are still stuffing this up, and a challenge to political parties and voters. When cities work well, they are powerful hubs for productivity, job creation, and innovation. This is known as the agglomeration effect. Globally, cities account for 80% of GDP. But they also account for 70% of energy use and greenhouse gas emissions, according to the work of the Global Commission on the Economy and Climate. Thus the challenge is to design, build and run cities in ways that maximise the economic benefits and minimise the environmental impact. The two work hand-in-hand, though. An attractive built-environment, which uses natural resources wisely and is well served by public transport, is a delightful place to live and work. 8. Change is in the wind. 9. Going green earns the green. We’re hearing quite a lot this election about how we need “a strong economy” (what does that mean, exactly?) in order to deliver all the nice things we want. Like, you know, saving the planet and stuff. Those little luxuries. This article in the Financial Times shows through beautiful financial data how that statement is completely backwards. Companies focused on an ethical low carbon direction are outperforming their competitors. But hey, let’s keep on making excuses for why New Zealand can’t cut our emissions. 10. New Zealand’s inconvenient truth. Is it legit to cite your own work in a Top 10? I’m about to find out. Last month I drilled into the data on New Zealand’s recent performance on greenhouse gas emissions compared with the rest of the OECD. Suffice to say, it ain’t good. So I wrote a piece for The Spinoff with some shiny interactive graphs to drive the point home. The data assembled above shows one thing very clearly: whichever way we choose to look at it, New Zealand is doing very poorly at reducing our emissions. We are one of the highest emitters per capita and per unit of GDP in the developed world. This should drive us to work harder than others. But we are not – our record in recent years also rates among the worst. Unlike the vast majority of developed countries, our emissions are still going up. Rather than improving our position, we are falling further behind. "While we’re fortunate enough not to be in the path of destruction laid by terrible twins Harvey and Irma, 2017 has already racked up a record insurance bill for weather damage with over a quarter of the year still to go." "Two offshore wind schemes won contracts at record-lows of £57.50 per megawatt hour (MWh). This puts them among the cheapest new sources of electricity generation in the UK"
Hello? Isnt wind intermittent? What do you do when the wind isnt blowing. Go to the backup system presumably .... has this "cost" been factored into the wind scheme? I guess not. As I understand it, the plan here is to station a wind turbine directly in front of Stephen Joyce to address exactly this issue. Either that or a big balloon above him to enhance NZ's offerings in tourism. To double output, a new turbine will be positioned behind him too! Instead of a turbine, what about a manure fired generator behind him. Almost limitless power. Bring Key back so we can privatise Joyce. If he needs a break they could bring in Smitty. LOL - Lawyers of all people to solve the envt problem. Clueless. Emissions caps of the type envisaged by our planets "green" bureaucrats are production controls and these require lawyers by the truck load. These sort of controls also have a history of being ruinous failures whenever they have been tried. The Green movement in NZ has a few image problems that get in the way of wider support. The first is the Green party is really Olive (green + red), which means it struggles for support from blue-greens (like me). The movement also appears to reflect prejudices in what they denounce. Farming is bad but tourism and air travel is fine (probably because progressives really enjoy overseas trips). A little research showed a trip to Europe creates more CO2 than a year running around in my little shopping basket. Finally green commentators fixate on the coercive. You can sense the commentator in item 5's approval for China's totalitarian regime. Instead of hectoring why don't you better publicise the technological advances that are reducing emissions and give people advice on how to help improve their uptake. You might reduce people's anxiety about making positive changes for the environment. The green movement in NZ has had an image problem, but that now seems to be changing fast. Over the last few decades people with sensible scientific views on environmental protection have been labeled greenies and told to go hug a tree. But you cant repress science forever. What we really need in NZ is for financial incentives to put put in place so people behave responsibly. IE ( using farming as an example ) you don't have to pay a pollution tax if you can prove you are behaving responsibly. Don't penalize the good farmers with a blanket tax leaving no real incentive for the bad farmers to stop polluting. The same goes for other industries such as tourism. Gareth Morgan's idea's on this are the best by any party. Whoever gets in we need to look at the best solutions available. The NZ public is owed that much. the Green party has a problem in that they are not green - They are basically a bunch of urban hipsters who think we can save the planet by recycling our coffee cups faster. Or they want you to ban plastic bags .... when the environmental impact is about numbers ... its the stuff IN THE BAGS that is the problem. Carrying capacity & overshoot - they have probably never heard of the concepts. Literally they have no idea what green entails. They are under the (de-) illusion that growth and green are bedfellows. I went to a local debate and the candidate said "we want to ban fossil fuel". Hello? Thats effectively outlawing food..
And as far as blue-green - theres no such thing. The green party has some great ideas. By your comment I doubt you spend much time looking into environmental solutions. Your hipster comments is just insulting to some very smart people with some brilliant logical solutions. I don't agree with all the green party policies but some simply must be adopted if we are going to leave any decent world to future generations. To come up with "some brilliant logical solutions" you need to be answering the right question. Do you even know what carrying capacity is? Because a farmer will tell you. If you keep putting more cows in a paddock, you need to keep adding more feed. There aint much way round this. Are you aware of the exponential function? If you keep growing anything at a steady rate, it doubles surprisingly quickly. A 1% per annum growth will double the size of the economy in just 70 years. 2% in 45yrs, 3% in 23yrs etc. Are you aware of Jevons paradox? Efficiency gains in the use of a material tend to increase overall use, not decrease. Are you aware of Oil's role in the economy and the financial systems need for ever increasing energy burn to maintain growth? Now add these all together. Brilliant solutions are thin on the ground. We are way in overshoot. This is a nice 30min simple summary of the problem. Lets make this very clear : I am certain we should be doing things about man made climate change. So I read this article and before I can get into some interesting info it starts with "If the image of three hurricanes sitting over the Atlantic Ocean while northern California is shrouded in smoke from wildfires doesn’t make you think something’s up with the planet, well I’m not sure what will.." That certainly doesn't convince me - there have been more and worse hurricanes in the past - choose your years carefully and deduce climate change and you could say the opposite. Please please stop extrapolating from well-publicised localised bad weather - it gives the deniers every opportunity to keep their heads in the sand. Please think of it this way - if (and it has never been proved) extreme weather events are more probable because the atmosphere and the sea are getting warmer. Then it is equivalent to shaking a dice and say every '1' means bad weather; then climate change is like changing the dice to being 5 sided - result bad weather becomes more common. Everyone who has played dice games like ludo or monopoly will know the laws of probability mean extended runs of good and bad luck. Please rewrite or remove this first paragraph - it is only preaching to the converted. The nearest you can say is something like "recent publicised major weather events have persuaded me to return to the study of climate change". I am certain we should be doing things about man made climate change. So please stop confusing individual events with long term trends. Read about the great storm of 1703 in England. It has never been repeated so all is OK??? Please less lazy writing. There were at least two Interest.co contributors that prior to our last El Nino predicted that its arrival (if it were a large enough event) might lead to a bout of increased world temperatures. That has proven correct. I suspect our immediate future may be quite interesting and good luck to our insurers. Although I watch climate change events with interest, I noted only one climatologist (a Japanese scientist) made a similar observation prior to the El Nino. Of course you are right - to be science it has to predict not make sweeping remarks after an event. I too watch climate change with interest. The Morgan book on climate change was a good read - it took care to be balanced - it would be rather out of date now - the James Lovelock book is well worth reading too but I heard he has changed his mind recently (not bad having a flexible mind in your nineties). What I found most convincing was recent data for a small but definite increase in temperature of the deep oceans. A first class read on the subject is. "No Place to Hide" by a New Zealand Professor Emeritus, Jim Flynn. It is really well researched, very easy to follow and written for New Zealanders. I thought I was well informed but found not so. 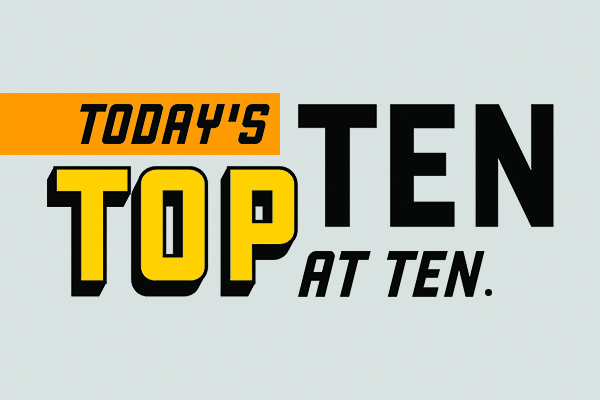 I would rate it THE best Top 10 Ever. Accessible information that you don't need a PHD to decipher. My strong view is that Kiwis need to be leaders - not followers - on Climate Change. If we want to leave a planet in better condition for all the children and grandchildren around today and who will be born and immigrate here over the next 50 years we need to stand up and be counted. By your reference to a BETTER planet and continued "immigration" I can see you are not aware of the scale of the problem caused by the human footprint. Heres a pointer - Energy / Overpopulation / Climate & resources. All three problems are completely interrelated. The final graph shows NZ's failure to curb emissions between 2010 and 2015 - would that be so bad if our population hadn't increased by over 7% in permanent residents and a more difficult number to estimate of holders of work visas? Most OECD countries have stable or declining populations. True: according to the gov website agriculture is 50% and humans about 50% - maybe we had more than 10% extra cows in those years. What will increase most in the years before we have to start paying for our missed targets (2030 ? ) will it be cows or people? Was looking at some stats before and herd numbers have been reasonably stable the last 5 years....so perhaps not that...? Dairy cow numbers increased but sheep numbers plummeted and sheep are ruminants also. OK, suppose we were to drastically reduce our milk production and get rid of most of our cows. This would indeed reduce GHG emissions from New Zealand. But it's not at all obvious that it would reduce GHG emissions in total, and that is the statistic that matters for "global" warming (note the clue in the name). On the contrary, it's quite likely that it would lead to an increase in milk production and cow populations in other countries, including some where animal welfare and environmental standards are not so high. It might help the more short-sighted and less scientifically literate NZ environmentalists to feel good about themselves, at least until the impact of the drastic reduction in NZ's income hit them. But the overall impact on the global environment would probably be negative. Just think, if we replaced the income from cows with the income from trees. Win-win. PS - California is running out of groundwater and almonds there require lots of irrigation. So, there's likely going to be a shortage in future, as they are by far the largest producer of almonds globally (I think it's something like 80% of the world's almond production). "Just think, if we replaced the income from cows with the income from trees. " you are missing the point . If we replaced our milk production with almonds ( or something else ) the milk production elsewhere would raise ; it would most likely be less efficient and produce more emissions per unit than it does here. We might be feeling better about ourselves as the result - but it does nothing for the planet. but it does nothing for the planet. No, not right at all - for two reasons. First, the world is over-supplied with dairy product presently, so your hypothesis is simply that, not a fact/guaranteed outcome. We can only be held to account for our own actions, and we should hold ourselves to account. Your 'environmental worldview' is one of a stock of assets, as opposed to an environmental carrying capacity one. Clearly, NZ is exceeding our environmental carrying capacity - not only with respect to GHG per capita emissions, but from a soils, waterways, inshore fisheries and biodiversity perspective. "Think globally, act locally" - an empty slogan if there ever was one. "Clearly, NZ is exceeding our environmental carrying capacity - not only with respect to GHG per capita emissions" - what does this even mean ? GHG emissions per definition only matter in a global context. "inshore fisheries and biodiversity perspective." - how are you going to help any of this with your hypothetical almond trees ( which do not even grow well in NZ ) ? Typical wishy-washy loony left "thinking". Yes, empty, given your worldview, I understand where you are coming from. Teleological ethics - largely a means/ends rationality. And of course applying the notion that we are exceeding the environmental carrying capacity in GHG emissions (a largely deontological ethical perspective) requires you to understand different worldviews (not necessarily accept them) - but have knowledge of them. Then you come to realise that the world is a diverse place and not all people/cultures view the world through your 'lens'. I'm using almonds as a comparison of a high value niche crop, as opposed to dairy - a low value bulk commodity. One that earns California as much in revenue as dairy earns New Zealand. That's actually why I chose it. I have no idea whether one could develop a cultivar that would be suitable to NZ conditions - no idea. I'm hardly "loony left" - whatever that is. It doesn't sound much like a studied/disciplinary concept. Perhaps it is a form of derogatory slang you apply to anyone who does not view the world through your 'lens'? Which embarrasses you more than me. The takeaway point is, NZ needs to open it's mind to something to replace bulk dairy. And moreover, that dairy represents only 20% of our current export income. So the task is not all that insurmountable. We are fouling our environment in a big way for what is not the be-all-end-all of our economy. "I have no idea whether one could develop a cultivar that would be suitable to NZ conditions - no idea." - and yet you promote it as a panacea for all NZ environmental ills . This is the very definition of "loony left " and the reason why you are a perfect specimen thereof . Oh dear. No, I'm not saying it is a panacea for all NZs environmental ills. I'm using it as a comparative example. There are likely hundreds of such export income substitutions available to us to explore. Yet, instead we spend a great deal of time and energy trying to make dairy work from an environmental perspective. And maybe someday all that R&D will pay off and we can continue dairy farming - perhaps even expand it. But for the time being, it's not good for our environmental health - it doesn't add any value where our environment is concerned. The smart decisions of the future will be both good for the economy and good for the environment. They consider many of these win-win (to environment and economy) type initiatives. Though you might consider them too to be that "loony left" label sorts. Over to you.
" I'm using it as a comparative example. There are likely hundreds of such export income substitutions available to us to explore." - research it , pick one that makes sense and start a discussion about that one ; it might have some meaning. What you have put up does not at the slightest. Facts and specifics matter you know. This discussion has in itself been instructive in terms of what I'm most interested in. My research interests relate to the sociological side of environmental management, as opposed to the physical science side - i.e., the application of values/ethics in our environmental decision-making. Your (what seems to be) resistance to any alternate worldview is what is of academic interest to me. Sorry I can't help you further with the physical science answers you are seeking. But, thanks, in that you've been an interesting sociological case study. I might use the exchange in my teaching. Having been trained as a scientist I do have a resistance to world views not supported by facts - I freely admit to that . God help us with when people like you are charged with research of any kind ; but that is the result of affirmative action in hiring I guess. Worldviews have to do with our values/ethics - as opposed to physical science/facts. Yours (the stock of assets worldview) relies on measurement, quantification and economic valuation methodologies and supports ‘trade offs’ in environmental decision-making. As I mentioned earlier - yours is a means/ends (i.e., teleological/utilitarian) values basis or 'lens'. So I can appreciate your insistence on facts (proof) and your resistance to ideas (unknowns/innovation). The environmental carrying capacity worldview relies on scientific methods-based simulations and predictions, and supports incremental steps in environmental decision-making, hence more open to ideas (unknowns/innovation and related thought processes). There are two other environmental worldviews, but let's put those aside for now. But, that said, a scientific finding (a fact) never tells us what to do - that is determined by what we are trying to achieve, and what we are trying to achieve is always guided by our values and our interests. I know what my interests are in this conversation - do you know what yours are? I'm curious. Kate - you might be interested in listening to this radio interview - a farmer who is sheep with some dairy on the same land and his views on dairy v sheep with regards the environment. This is not the first time I have heard a farmer in similar circumstances make the same sort of comment. What we've seen in some of these areas, in particular Alkborough, is that people have gone from farming which I don't think was particularly profitable to starting to provide facilities for visitors. Already the area Alkborough is attracting a lot of people in for bird watching and walking and so on. A lot of local people have started to realise that there's a business to be made by providing tea rooms and car parking: all kinds of things like that. Your position basically boils down to relabeling ignorance of facts as "an alternative worldview" that deserves to be respected . I disagree.
" Having been trained as a scientist I do have a resistance to world views not supported by facts - I freely admit to that . Where are the facts which support the existence of your God? "Where are the facts which support the existence of your God?" - none ; I used the expression merely as a figure of speech. No, got some links? Did know there had been some work on self-pollinating hybrid cultivars as an apiraist neighbour of ours did consultancy work there - the US has a big problem with colony collapse disorder. No idea about what pesticides they use - what do you mean by indiscriminate - something like our aerial 1080 use? Got any links to information? Are you saying that almonds can't be grown in an environmentally sustainable way? Thanks - must explore all the links too. Well they seem to be getting close to understanding the pesticide combo cause of the bee colony collapse - but I wonder why the almond growers don't raise their own hives on site? I'm assuming it's got to do with the monoculture thing - they don't want to incorporate the needed biodiversity to their land holdings in order to raise the bees successfully. Seems ludicrous to be trucking bees cross country. The entire GHG environmental movement is just a corporate lobby group. Multinationals who offshore their production are paid in carbon credits, whilst carbon taxes are slapped on the ex-workers trying to keep warm over winter. The production ends up somewhere with lax monitoring standards. The planet dies a little quicker. Is it your contention that those people wouldn't have contributed to carbon emission if they hadn't come to New Zealand? The last graph hides a planet killing flaw. The developed world has been increasing global emissions by decreasing local emissions. Locally produced activity is being outsourced, then goods and services imported from much further away. The total effect is to kill the planet faster, but to look good doing it. Before we get too optimistic about China let's remember that it is run by a communist dictatorship that promises a lot without much delivery. The constitution of China guarantees freedom of expression, religion, movement, and a lot of other great things. Until it actually happens don't count on China even moving in the right direction. Evolutionary biologists see things differently. Time will answer the question regarding which political system eventually dominates others. Currently there is no clear winner in the world and artificial intelligence is going to radically change our world anyway; probably in the near future. What is the root cause of climate change issues (if we are to buy into the change being significantly anthropogenic) - population. What are we doing to address that? I'm not signing up to a lentil diet and EV's simply so we can jam even more people on the planet. Adopt a one child policy? This task, apparently insurmountable for the west, is made possible by China’s 2,500-year tradition of centralised government. China has had a Communist Dictatorship only since 1949.